Get ready to rock your 2018 season by kicking it off with our fourth edition of the Road Apple Roubaix! 15 Miler-This is fairly flat, beginner friendly course mainly on the Headwater’s trail and some quiet rural roads. 25 Miler-This route will test riders with plenty of gravel, some pavement, a few good climbs including heckle hill and the potential for mud and perhaps even some snow and ice! 40 Miler-This route includes the entire 25 mile route with an additional 15 miles on gravel on the northernmost section of the course and will offer the most scenic Amish views! This is an opportunity to tour some of the quiet, less-traveled roads out in the country while avoiding any steamy road apples! There is a mass start at 10 AM sharp of the 25 & 40 milers complete with some strava segments including the course for bragging rights…but this is not a race. 15 milers will start two minutes after the mass start. A scenic tour through the country roads of Portage and Geauga County. Cyclists of all kinds and performance levels (no license required) that want to start their season with a real challenge and experience the scenery of Amish country while avoiding the steaming road apples. 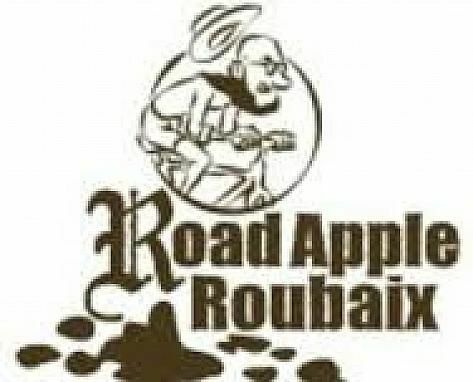 A very coveted custom Road Apple Roubaix commemorative item will be included in your entry fee. Past year’s have been a coffee mug, a soup mug and a pint glass. All entries will receive one free ticket to the raffle which will be held at 2PM. Additional raffle tickets can be purchased prior to the drawing on bike reg.com. Raffle proceeds will be donated to Garrettsville’s own cross country team! Raffle items will include these awesome prizes from our generous sponsors. Lastly, all participants are welcome to get in on the free arm wrestling challenge! Prizes for overall male and female winner. Pre-Registration entry fee: $30 through 12/31. $35 until 2/25 then $40.